Breakfast and a full day tour of Barcelona. 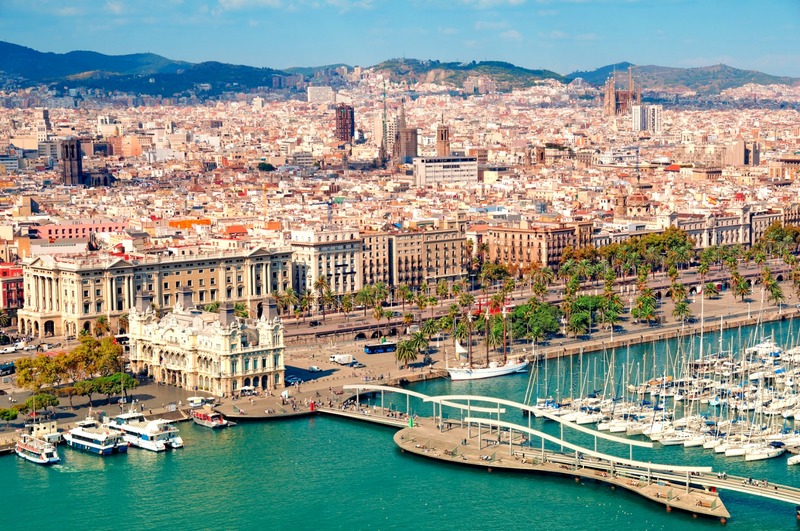 In the morning we will take a panoramic tour that will take us through the heart of the city such as Plaza Catalunya, Gothic Quarter and the Montjuic area where we will enjoy a cable car ride until the "Spanish Village" with the representation of monuments of all Spain. In the afternoon we will make a tour dedicated to the artist Gaudi. 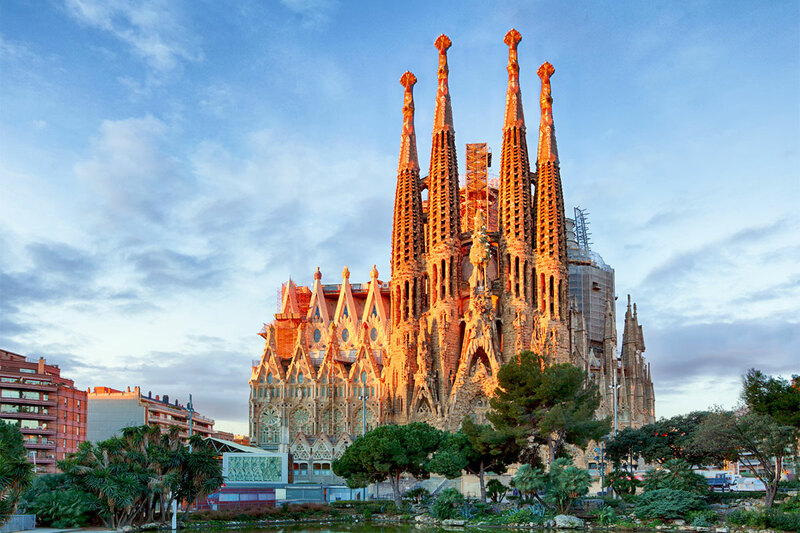 Pass by the outside of Batlló and Pedrera houses, we will stop at the fabulous Guell Park and visit the impressive unfinished Sagrada Familia Church (inside). In the evening we include a dinner in a typical Paella and fish Restaurant, Xup –Xup, Arenal or Cuina de Laitana. Accommodation. Breakfast and departure to visit Montserrat. Through picturesque little villages, you will arrive at the incomparable setting of the mountain of Montserrat, located to the right of the Llobregat river and towering majestically at 1235 m. height above sea level. Its silhouette reminds the serrated blade of a saw, so Montserrat means " serrated mountain " . Montserrat is a rich and multifaceted phenomenon: a unique natural park in the world, one of the most important museums in the country and the shrine of the patron saint of Catalonia. Visit the Royal Basilica, where it was the Virgin Black Madonna, XII century Romanesque carving. The Basilica has been one of the most important pilgrimage sites in Spain for centuries. Some days, the Choir ( Europe 's oldest children's choir ) sings in the monastery at midday, so hopefully, we can attend one of their magnificent performances. Price includes tasting of 4 typical liquors of Montserrat and entrance to " Audiovisual space Montserrat Portes endins " Free afternoon. In the evening we include a dinner at the restaurant Asador de Aranda in the Tibidabo.